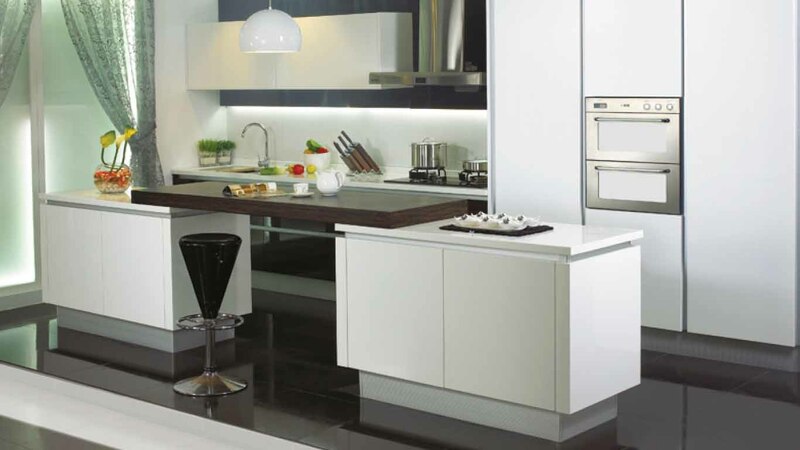 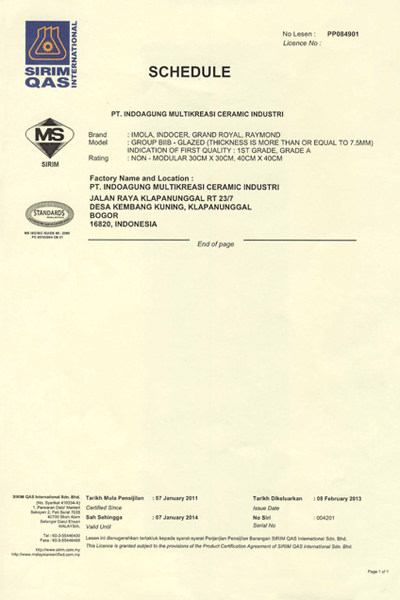 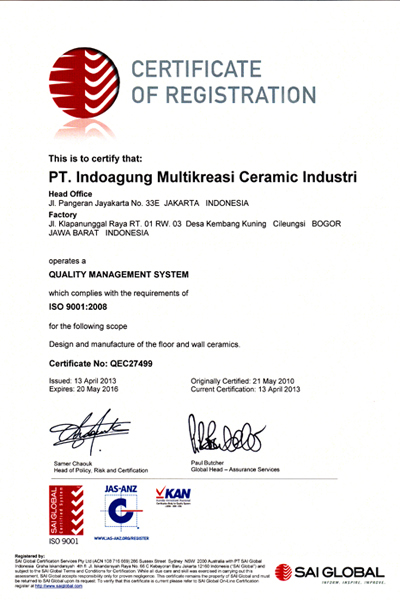 As an assurance of our quality and to guarantee customer satisfaction, Grand Royal ceramic is certified by ISO, SNI, and SIRIM. 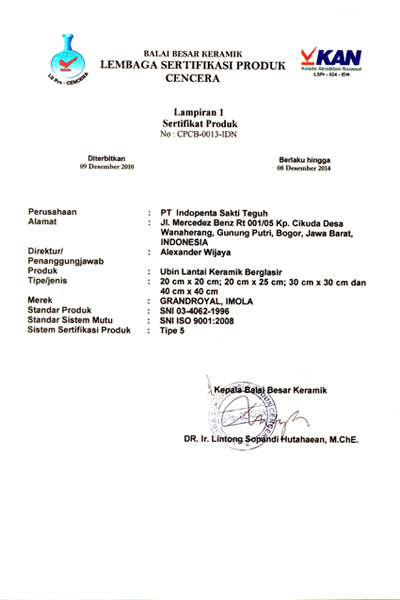 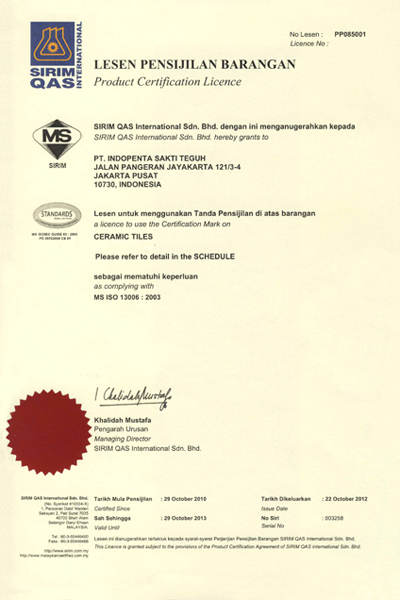 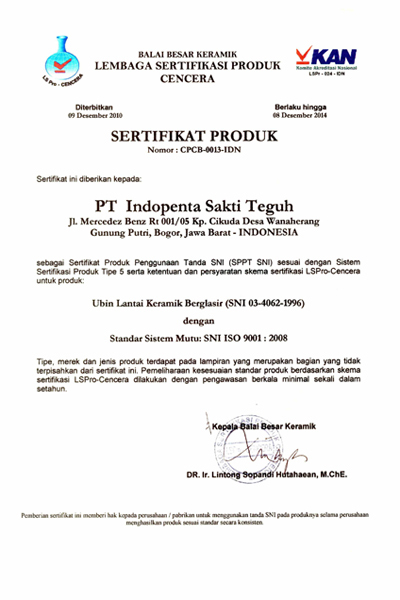 As a brief reference - ISO certification is the international standardization for various products and services, SNI certification is for National/Indonesian, and SIRIM is Malaysian. As can be seen in this page we have consistently had our products certified by all three of them and will continue to do so in the future.